If you are interested in wildlife, you will enjoy exploring Celestun. 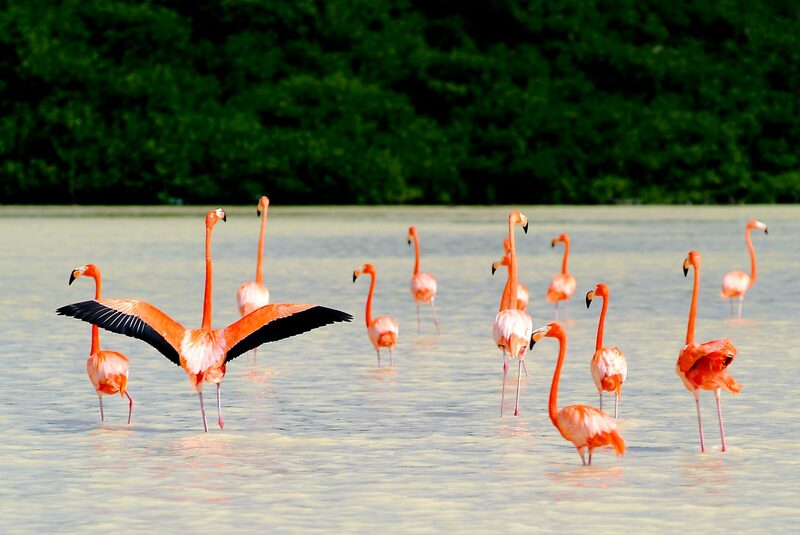 The wildlife reserve at Celestun is a bird sanctuary best known as a flamingo breeding spot, as well as a stop-over for migrating North American birds. Depending on the season, you will be able to see cormorants, egrets, storks, pelican and ducks. Although it is very likely that you will be able to watch flamingoes, it cannot be guaranteed. Swimming at the lagoon is not allowed.